Erin was a beacon of light to all those that she encountered. 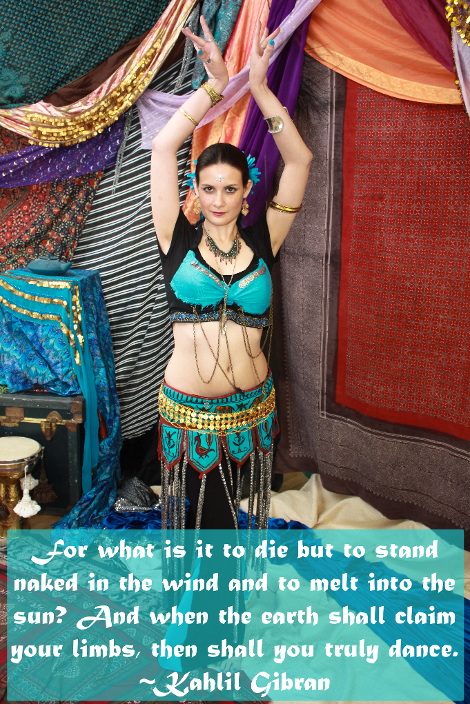 We have been able to have the great gift of dancing, laughing, and supporting one another for her years with the EVE Tribal Belly Dance Company. Many people may think that we at EVE merely come to class once or twice a week, perform, and continue this simple cycle. However, just like many other troupes, we are family. We stick together through engagements; parental, friend and family illnesses & deaths; babies; marriages; changes in location; challenges and successes. We always find our paths coming back together and weaving through one another. Erin will ALWAYS be a part of ALL of the troupes at EVE. Not only did she work so hard and with such grace in her dancing but also in all she did in her day-to-day life. Erin was in school working toward her Masters in Rehabilitation Counseling, an active member in her congregation, and worked daily toward the inclusion of individuals she served in the non profit she worked for, fittingly enough, with other EVE members. In times like this it is hard to find a way to smile. Erin was that smile and that light. Her smile, her laughter, her joy was infectious and will be missed as deeply as it was cherished. We will continue to smile each day as that is what she would want us to do. We will continue to dance in hopes that doing so puts smiles on other peoples faces and joy in all of our hearts.